In this article I will explain how to use delete or update statement with inner join in SQL Server. In previous post I explained how to use update statement with replace function in SQL Server and many articles relating to SQL Server. Now I will explain how to use delete or update statement with inner join in SQL Server. 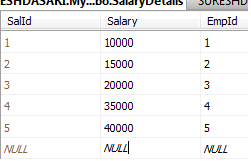 In one application I got requirement like delete data from database based on multiple table column values in SQL Server. 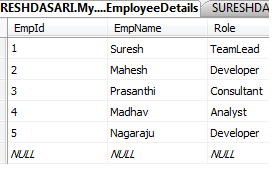 Generally we will use joins concept to get data from multiple tables and if we want to delete data based on the column values of multiple tables we will use subqueries instead of use multiple subqueries we can reduce it by using inner join with delete statement. Nice to see your article but my question is that. Is it mandatory to have common fields for join??? Name of field can be any but datatype should be same.